Grace Church is an historic, diverse and active parish. We are a community of people who seek to honor God as they love one another and serve God’s needy world. Grace Church has been committed to sharing God’s grace with others since 1847. Today we continue to honor God as a vibrant, visionary and inclusive congregation. We are committed to ministries of prayer and worship, lifelong Christian learning, community engagement and outreach, and compassionate care and justice for one another and for the world. We celebrate our growth, our diversity and the great privilege we have in welcoming all who seek to serve God in the world. We welcome all who long to serve in God’s reign of mercy and love. We welcome you! We invite all—believers, seekers and skeptics—to participate in our worship. Whether or not you are a member of Grace Church, there is a place for you in our common search for God. See the Grace Church Brooklyn Heights 2017 Annual Report. To transfer your membership from another Episcopal church, please contact the parish office to request a letter of transfer from your former parish. If you’re not a member of another parish, of course you can start fresh with Grace! Grace Church is a parish within The Episcopal Diocese of Long Island, The Right Reverend Lawrence C. Provenzano, DD, Diocesan Bishop. Grace Church provides annual financial support for the mission of our diocese and the multi-national Episcopal Church, The Most Reverend Michael B. Curry, Presiding Bishop and Primate. The Episcopal Church is a member of the worldwide Anglican Communion, The Most Reverend Justin Welby, Archbishop of Canterbury. The 15th Rector of Grace Church Brooklyn Heights, The Rev. 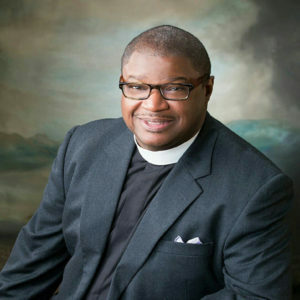 Dr. Allen F. Robinson was ordained in 1995 after study at the Virginia Theological Seminary. In 2007, he received a Doctorate of Ministry, with a dissertation on congregational development, from the Fuller Theological Seminary in Pasadena, California. Previously, Allen served as Rector at St. James’ Church in Baltimore, Maryland and as an Associate or Assistant Rector at Calvary Church in Memphis, Tennessee, St. Dunstan’s Episcopal Church in Houston, Texas, and St. James’ Church, also in Houston. Allen and his wife Allison have three children, Keenan, Leyla and Philip. The Rev. 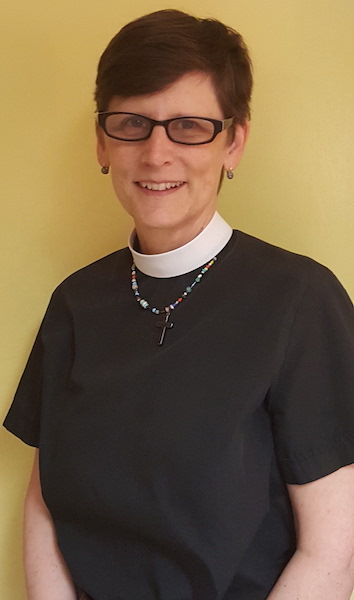 Erika Meyer joins the Grace Church staff as the Associate Rector for Pastoral Care and Community Life. She brings to Grace her sixteen years of experience as a Rector serving parishes ranging from rural Colorado to midtown Manhattan. She has a vested personal interest in faith, loss, and the grieving process and the use of scripture, song, and testimony to strengthen our desire to serve the Kingdom of God and follow Jesus. Rev. Meyer was ordained in 1995 in the Diocese of Michigan and has a B.A. in Sociology from the University of Michigan and her M.Div. from the Church Divinity School of the Pacific in Berkeley, Ca. Her husband, Paul Marinaccio, is an executive coach and former Commissioner for Economic Development for NYC. Erika is a mother to Johan, and step-mother to Juli, both in college. She is a public radio podcast junkie, walker of Cinnamon and has discovered a side ministry in the dog park. Paul Richard Olson has served as Grace’s Organist and Choirmaster since 1992. He also currently serves as principal accompanist for the preparatory division of the internationally renowned Brooklyn Youth Chorus Academy. A native of the Pacific Northwest, before moving to New York Paul served as a parish musician in several major churches in Oregon and Washington State, as well as organist at Temple De Hirsch Sinai in Seattle. He received his BM in organ and sacred music from Pacific Lutheran University and his MM in organ and music literature from the University of Oregon, and did doctoral studies in organ and choral conducting at the University of Washington. In addition to his church duties, Paul maintains an active schedule as an organist and accompanist both in and outside of New York City. Parish Administrator Christian DeRuiter comes to Grace from the Cathedral Church of St. John the Divine in Manhattan where he was Administrative Services Manager. Prior to that he was the Pastoral Events Coordinator and Assistant to Canon Pastor/Vicar of the Congregation of Saint Saviour at the Cathedral of St. John the Divine. He worked previously as a freelance marketing consultant to social gospel-oriented journalists and authors. Christian is an avid living historian, helping educate the public by portraying New Yorkers through different eras of American history in reproduction uniform and period gear of the 19th and 20th centuries. Financial Administrator Sandra Joseph was born in Trinidad but grew up in Brooklyn where she continues to live. She is a graduate of Baruch College where she received a BA in Accounting. She joined Grace in 2011 and oversees the financial needs of the Church and School. Sandra loves spending time with her family, dancing and fine dining. Head Sexton Felipe Guerra has been caring for the buildings and grounds of Grace since 2011 and was promoted to Head Sexton in 2016. He came to Grace with many years of construction experience and certificates in electrical skills and plumbing from Apex Technical College. Felipe has two sons,14 and 16; loves them, soccer and a good plate of chicken and rice. Night Sexton Diomedes Luna cares for Grace during the evening hours when many groups are meeting within the Parish House. He came to Grace in 2005 and has years of experience in maintenance and mechanics. Diomedes is a fan of the Mets, Argentinian football and music. The Vestry is the governing board of the parish and consists of the Rector, the Wardens and lay members. It serves as a council of advice for the Rector, and each member has hands-on areas of responsibility. 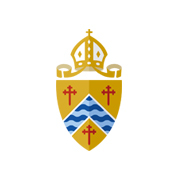 As its primary responsibility, the Vestry oversees the parish’s financial health and, in partnership with the Rector, develops and approves the annual parish budget. The Wardens are elected at the parish’s annual meeting and may serve three two-year terms. Lay members are likewise elected at the parish’s annual meeting and may serve up to two three-year terms. The Vestry is supported by the Clerk and the Treasurer. Vestry: Wendy Chittenden, Peter Farrell, Andrew Foote, Dennis Gephardt, Dexter Guerrieri, Emily Horcher, Mary Jacobus, Christopher Larson, Brianna McCarty, Abagail Nelson, Lauren O’Garro-Moore, Sheila O’Neill, Dale Swift, Randall Thomas, James Williamson. Brooklyn Heights takes its name from a quarter-mile-long bluff rising steeply above the East River harbor. In early American history, it is perhaps best known as the location of General George Washington’s field headquarters in 1776, when the famous Battle of Brooklyn—which ended in defeat for Washington—took place as part of the War of Independence. The community that arose in the Heights over the following centuries looks today much as it did 100 years ago, with historic brownstone and brick rowhouses that prosperous landowners built on what was once farmland. With the improvement of ferry service in 1814, many of these men began commuting to jobs in Manhattan. Brooklyn Heights was becoming a suburb. 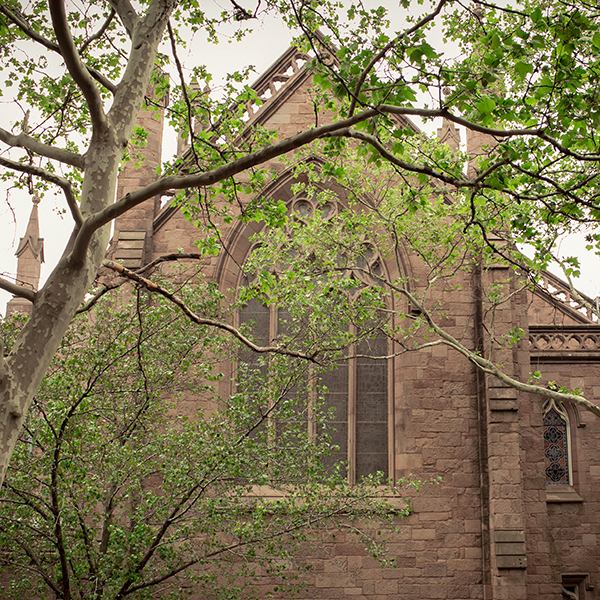 Grace Church had its own beginnings in the early 1840s, when a small group of Brooklyn Heights Episcopalians established Emmanuel Church on Sydney Place. 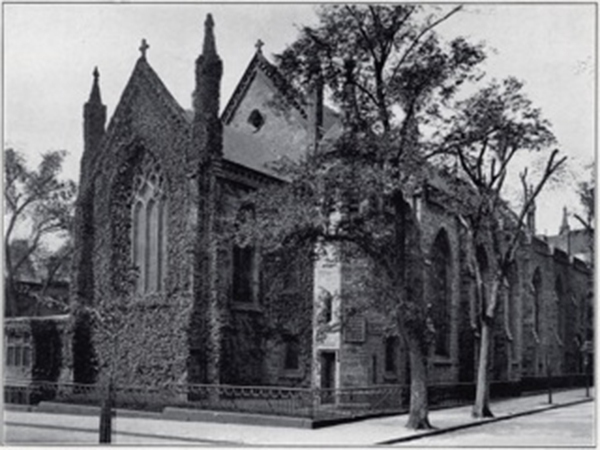 The parish quickly outgrew its space, and a new church was incorporated in 1847, taking the name Grace Church Brooklyn Heights. The parish’s first rector, the Reverend Francis Vinton, with a building committee headed by Henry Evelyn Pierrepont, selected a site on what is now Grace Court. They enlisted the services of the distinguished architect Richard Upjohn, who was well known for his church designs, most notably Trinity Church Wall Street in Manhattan. He designed Grace Church, like Trinity, in Gothic Revival style, based on English medieval precedents. The cornerstone was laid on June 29, 1847, and on December 10, 1848 the doors were opened for its first service, welcoming the congregation to an interior of polished wood, carved pews and an open trusswork ceiling. After the opening of the first subway in 1908, the Heights became even more closely tied to Manhattan, but its relative calm also made it a residential refuge. During the early years of the 20th century, as the parish became more established, decorative paint was gradually added to the walls and ceiling, and the original diamond-pane windows were replaced with stained glass from studios such as Tiffany, J & R Lamb, Clayton & Bell and Mayer of Munich. At that same time, parish facilities were expanded also. In 1865 Grace had built a Sunday and parish school building—also designed by Richard Upjohn—next door to the church on Grace Court. But in 1931, with continuing parish growth, that building was replaced by the present-day Parish House, where Grace Church School is located. 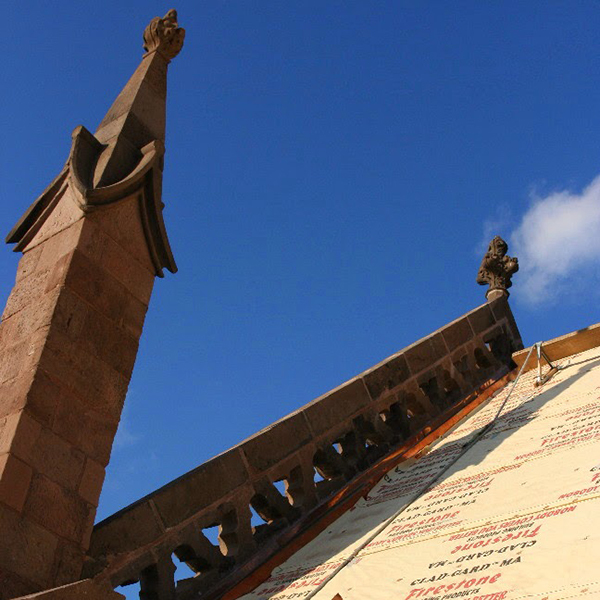 Most recently, the church underwent a year-long restoration that was completed in the spring of 2014, revealing many of the spectacular architectural elements that had been obscured by prior renovations. But a parish consists of more than its buildings. It is animated by its congregants, its leadership and the programs it supports. From its earliest days, one of the hallmarks of Grace Church has been its history of service. The Reverend Vinton established that tradition when he founded the Church Charity Foundation, ministering to the sick, the aged and the blind. 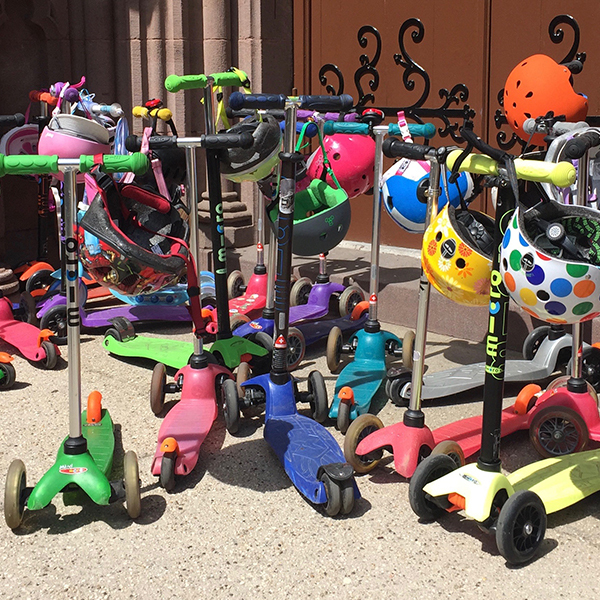 Continuing the tradition of numerous outreach programs over the years, Grace parishioners today work within the neighborhood, the city and the world. Grace hosts many recovery groups throughout the week, and together with a consortium of different neighborhood faith communities, hosts a month-long shelter each year. Grace also supports Community Help in Park Slope (CHiPS), a feeding ministry for the hungry in Brooklyn. Early on, Grace established a training school for girls and later one of the first kindergartens in the area. 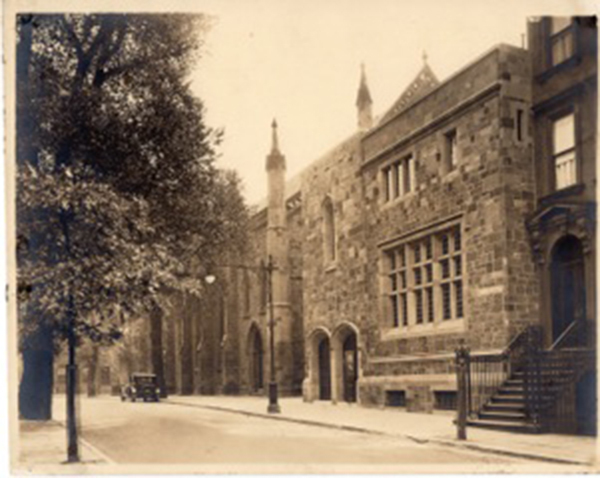 Since 1928 it has included Grace Church School, the oldest pre-school in Brooklyn. Today, parishioners not only participate in mentoring and tutoring programs for public high school students in Brooklyn, but have traveled several times to El Hogar de Amor y Esperanza in Honduras to work with the poor schoolchildren there. 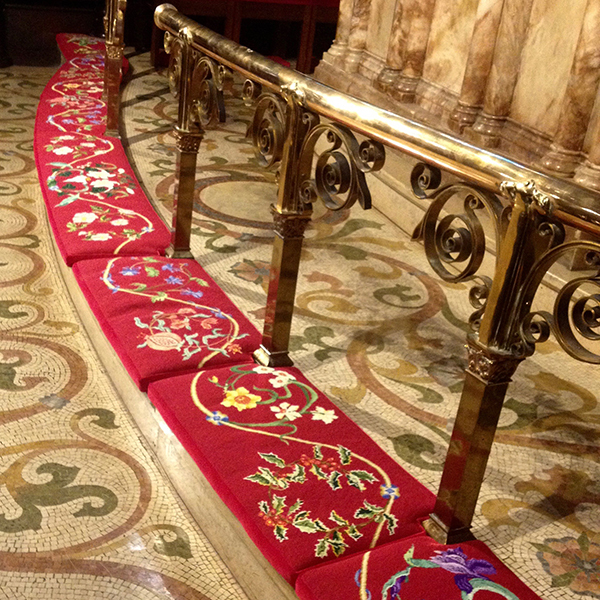 Grace Church underwent an extensive restoration and renovation in 2013-2014, during which a new copper roof was installed and original or historically accurate decorative elements were restored in the nave and sanctuary. The most spectacular of these can be seen in the celestial ceiling, which features an array of eight-pointed stars in gold, yellow and red on a bright royal blue background. 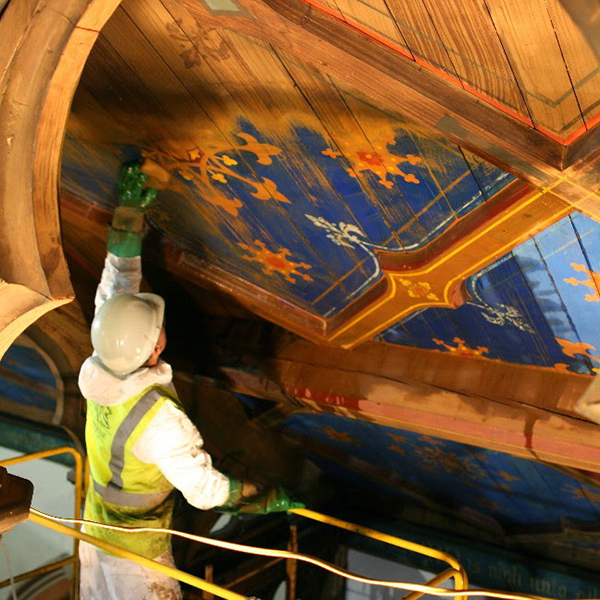 Similarly, the walls, moldings and trim were renewed, and flourishes of Bible verses once again ring the upper nave and sanctuary walls, where they meet the ceiling. “Grace Church was lucky, said Kim Lovejoy, a vice president of EverGreene and the restoration project director, not only because the over-painting could be washed away but also because of what its removal disclosed. “‘The colors and pattern motifs of the painted wall and ceiling decoration, stained glass, wood and stone carvings, furnishings and floor mosaic, were designed to work together as a coherent ensemble,’ Ms. Lovejoy added. As a result of these extensive efforts, Grace was honored with a 2015 Lucy G. Moses Preservation Award by the New York Landmarks Conservancy, an award for Excellence in Historic Preservation from the Brooklyn Heights Association and a 2014 Preservation Award from the Victorian Society New York. A Capital Campaign was implemented by Grace Church to fund the restoration. The people of Grace Church Brooklyn Heights give thanks to God and to all those who contributed to the renovation and restoration of our worship space. Grace has become recognized not just for the revealed beauty of its interior but also for its architectural and historical significance within Brooklyn. Through guided tours every month, docents share this history with visitors and curious parishioners. Please check the calendar for the schedule, or contact the docents by completing the Contact Grace form. Founded in 1928, Grace Church School provides an early education program for preschool-aged children. The curriculum is nonsectarian and recognizes and celebrates the diversity of faiths and beliefs of its families. The educational philosophy of Grace Church School is rooted in providing children with experiences that enable them to question, to explore, to create and to grow. Within a nurturing environment, children develop social, emotional and intellectual skills through active engagement and hands-on experiences. Please visit the school’s website at www.gracechurchschool.org for more information. Special admissions consideration is given to children of Grace families who worship with us regularly, participate in the life of the Church, and offer their support through an annual pledge. Please contact the Wardens for further information.